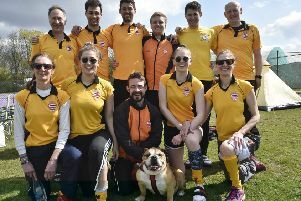 Anna Faux scored and was player-of-the-match for City of Peterborough at Cambridge University. City of Peterborough Ladies battled back from 2-0 down to draw their East Division One North game at Cambridge University seconds yesterday (November 26). Two well-worked goals eaither side of half-time left City with a mountain to climb against a team who have won just one league game all season. But player-of-the-match Anna Faux pulled a goal back 15 minutes from time before in-form Tierney Augustine quickly found an equaliser. City had chances to win the game in the final stages before they settled for a point which left them fourth in the table ahead of their final game before the midwinetr break at Lowestoft next Saturday (December 3).